If you’re currently using the tinny, rubbish speakers built into your monitor or laptop, you’re also likely to want an upgrade. Perhaps Razer have the answer for you with the Razer Nommo. 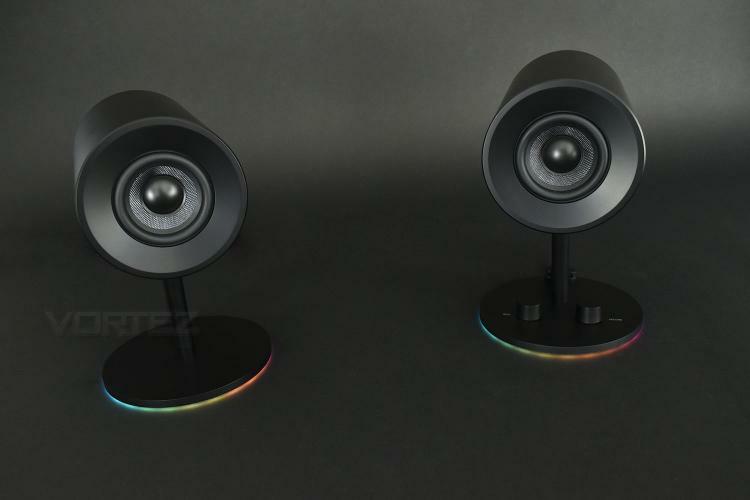 The Razer Nommo arrives in three different flavours; the Nommo, The Nommo Chroma, with added RGB base-lighting and the Razer Nommo Chroma Pro, with a pair of extra tweeters, a stand-alone subwoofer and in-line remote control. The first two are largely similar with the latter being a whole different ball game, along with a £330 price increase to boot. Today we’ll look at the Razer Nommo Chroma. This is Razer’s first real venture into the world of PC speakers, featuring a 2.0 set-up with custom woven glass fibre 3-inch drivers, rear facing bass ports, RGB lighting within the base of each speaker, and volume and bass control knobs on the right-hand speaker. The aim of the Nommo Chroma is to provide accurate, directional, full-range sound, helping to immerse you in the game and provide you the winning edge you deserve. They certainly talk the talk, but can they walk the walk?